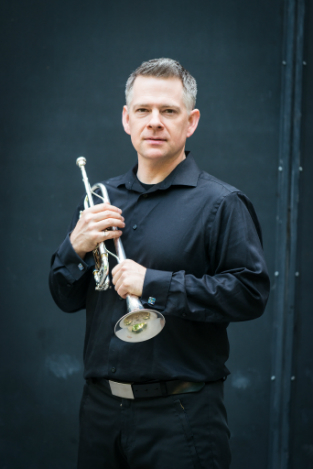 Michael Fedyshyn holds the position of Principal Trumpet with the Hamilton Philharmonic Orchestra and can also be heard in regular performances with many other ensembles throughout Ontario. Michael began playing the trumpet at the age of 12 in Cornwall, Ontario, and is a graduate of the University of Ottawa and an alumnus of the national Youth Orchestra of Canada, the National Academy Orchestra and the Glenn Gould School of the RCM. Michael has taught trumpet privately since 1995 and is currently an Adjunct Instructor in the Music Department of Redeemer University College. Robert Weymouth, from Brampton Ontario, is the Second Trumpet in the Canadian Opera Company Orchestra and holds the same chair with the National Ballet Orchestra. Along with his permanent positions Robert has performed with many other orchestras both in Ontario and throughout Canada. He has performed as a soloist with many bands and orchestras including the Hannaford Street Silver Band, the Weston Silver Band and the National Academy Orchestra. Robert is also a member of the Hannaford Street Silver Band, and he maintains an active teaching studio. 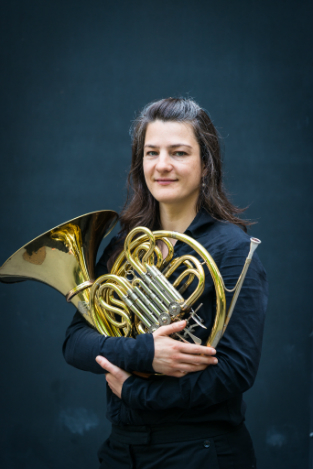 Jessie Brooks holds the position of Third French Horn with the Kitchener-Waterloo Symphony. She joined the orchestra in 2011, after an eight-month run of the Mirvish Production of "Billy Elliot," the musical, in Toronto. Originally from Toronto, Jessie holds a Bachelor of Music degree from McGill University, where she studied with James Sommerville. She went on to receive a Master of Music degree from the University of Illinois. Previously, Jessie held the position of Principal Horn with the Thunder Bay Symphony Orchestra from 2003 to 2009 and was a featured soloist with the orchestra on several occasions. Jessie currently lives in Toronto. Megan Hodge, a native of Edmonton, Alberta, pursued her studies at the University of Alberta, McGill University and the Glenn Gould School of the RCM. Her principal teachers have included Gordon Wolfe, Alain Trudel, James Box and John MacPherson. An active freelancer in Toronto and across Canada, Megan has held the position of Principal Trombone with the Victoria Symphony in 2010 and with the Kingston Symphony Orchestra from 2007-2010. Originally from Yellowknife, Northwest Territories, Jennifer Stephen pursued her studies at Memorial University of Newfoundland and Bowling Green State University, where she studied under Velvet Brown. She is also an graduate of the Glenn Gould School of the RCM. Jennifer has recorded for film and for CBC radio, and can be heard performing with orchestras throughout Ontario and across Canada. She is a faculty member at the National Music Camp of Canada and the Royal Conservatory of Music. Jennifer currently resides in Toronto.